Wavedancer departs from Port Douglas to head out to the beautiful tropical paradise of the Low Isles. Snorkel, swim, and relax during this fun one day tour on a secluded and beautiful coral cay island. Wavedancer offers an amazing way to discover and explore the Great Barrier Reef Marine Park. Make your way to the Low Isles where you will spend your day on a secluded tropical cay in the middle of the warm blue tropical waters of the Great Barrier Reef to relax, explore and enjoy the day. 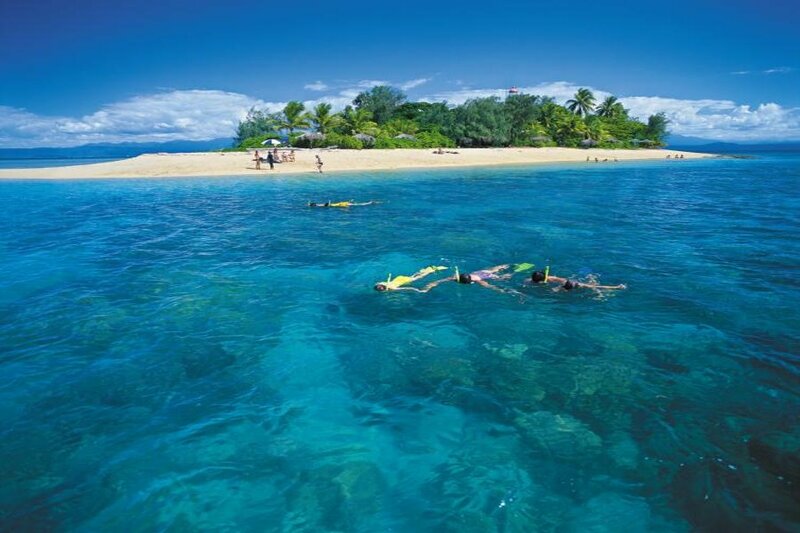 Only 15km from Port Douglas, Low Isles is a 4 acre coral cay surrounded by 55 acres of beautiful, colourful reef. The island offers a perfect place to snorkel from the beach and relax on the sands to enjoy a perfect day in the tropics! With over 150 different species of hard corals, a huge variety of fish, molluscs, sea cucumbers, rays, turtles and dugongs, the reef surrounding the islands offer an amazing and unique Great Barrier Reef experience. 11:15am: Wavedancer arrives at Low Isles and your activities commence. 1:30pm: A guided beach walk is conducted by a Marine Biologist from the shuttle boarding area on the beach. 2:45pm: Last shuttle leaves the island to return passengers to the vessel. Afternoon tea is served. 3:10pm: Depart Low Isles for Port Douglas. Enjoy light entertainment during the return journey. 4:30pm: Arrival at Reef Marina, Port Douglas. The Low Isles are home to a historic lighthouse as well as the beautiful coral reefs that make for a perfect escape with your family, friends and loved ones. Please note that this tour departs from Port Douglas. â€‹Thank you for booking with Mr Travel/Sailing Whitsundays. If you would like any advice or assistance in arranging accommodation, transfers or additional tours, please do not hesitate to contact us.